CI (Chief Investigator), Discrete Mathematics Group (DIMAG), Center for Mathematical and Computational Sciences, Institute for Basic Science (IBS). Professor, Dept. of Mathematical Sciences, KAIST. Ph.D. from Princeton Univeristy, 2005. Advisor: Paul Seymour. B.S. from KAIST, 1998. Visiting Assistant Professor at Georgia Institute of Technology, 2005-2006. Postdoctoral fellow at University of Waterloo, 2007. KAIST since 2008. CI at Institute for Basic Science since December, 2018. Graph Theory, Matroid Theory, Combinatorics, Combinatorial Optimization, Graph Algorithms. Structural Graph Theory, Width Parameters, etc. Unavoidable vertex-minors in large prime graphs (with O-joung Kwon), European J. Combin. 41(October 2014), pp. 100-127. Rank-width and Well-quasi-ordering of skew-symmetric or symmetric matrices, Linear Algebra Appl. 436(April 1, 2012)(7), pp. 2008-2036. Finding Branch-decompositions and Rank-decompositions (with Petr Hliněný). SIAM J. Comput. 38 (2008) (3), pp. 1012-1032. 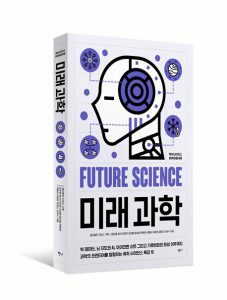 A founding member of Y-KAST (Young Korean Academy of Science and Technology), 2017. Young Scientist Award (젊은과학자상), President of Korea. 2012. 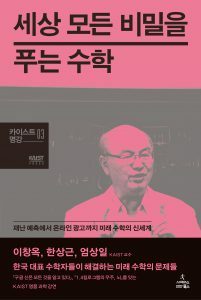 Outstanding New Young Researcher Support Program (우수신진연구자지원사업), National Research Foundation of Korea, 2011. TJ Park Junior Faculty Fellowship (청암과학펠로), POSCO TJ Park Foundation, November 25, 2009. If you are interested in becoming a post-doctoral researcher working with me, then please visit dimag.ibs.re.kr. For students interested in being a graduate student, please visit the website of KAIST office of admissions. I am organizing the Discrete Math Seminar. I strongly encourage everyone including students interested in discrete mathematics to attend this seminar and subscribe the mailing list.